This sales business is filled with data so high and cluttered, Marie Kondo (of Tidying Up fame) would not only be unable to spark joy, she would lose the will to live. Data sheets. PDF brochures, forecast sheets, spec sheets, CRM systems, blue, green and other pretty coloured account planning sheets, internal negotiation planners, sales planners, territory maps, prospect lists, LinkedIn connection lists, email lists, call planners, proposal templates, tender response templates….are you still breathing? Something, or actually, someone gets lost in all of this. The living, breathing, flawed human being who ultimately makes the decision on buying your pride and joy or not. Sure, many of those ‘sheets’ are supposed to inexorably lead you to convince your client with a magical fireworks display of Total Cost of Ownership (TCO) , Return on Investment (ROI) , and Cost/Benefit analysis. Well, they do and they don’t. They provide a good case to be considered. They don’t really focus on the individual. Here are some examples of the flawed individuals who say yes or no. The incompetent, over budget manager trying to look vaguely competent to his peers because this is his third job in three years and he’s just had twins. The technocrat who has the commercial business acumen of a first year pre-school teacher. The procurement genius negotiator on the autism spectrum. The power junkie with more political nous than a posse of Canberra journalists. The little boy who wasn’t reprimanded for lying when he was little, which he then continued into his corporate career. The female executive who learned to survive and thrive despite misogyny in her industry. The frightened, meek, risk averse and fearful middle manager who’s just watched 30 of his colleagues hand in their security passes on the way to spend more time with their families. Sometimes the person you need to address is staring right in front of you …and you’re blocked from seeing them by the blinding blizzard of data. They are flawed, like us, but interesting, and if you help them achieve their purpose, achieving yours will simply be a formality. He is the author of # 1 International Best Seller ‘ Confessions of a Pitch Consultant‘ and Sales Vs Procurement – The Secrets Unveiled at the Negotiation Table and is internationally renowned for ensuring sessions are engaging, interactive and relevant to winning business in competitive markets. Elliot is based in Melbourne where he lives with his wife and two negotiators. There is a scary dystopian world being conjured by those that see Sales as some sort of reactionary movement, apparently hell-bent on creating destruction and chaos throughout the land. We need to reclaim ‘Sales’ as an honourable, beneficial and indeed, critical set of skills for success in business. The dystopians and ‘self haters’ some of whom actually call themselves business coaches, want to obliterate the word ‘sales’ to be replaced with ‘buyer enablement’ or ‘relationship management’ or some other Orwellian euphemism. It’s important to distinguish between ‘Old School Selling’ filled with self-interest and talking too much and ‘Professional Selling’ with its inherent skills of listening and advising, but let’s not dismiss that this is unashamedly about influence. 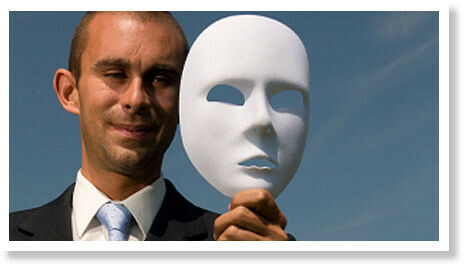 BRC: So, are you aware that you put your own personal and business interests ahead of clients in unconscionable ways? Banks: ‘Well, now that you mention it, we didn’t’ realise that the legitimate goal of maximising shareholder returns also had to be done ethically, morally and legally’. I, for one, am certainly happy to donate to the ‘Build a Prison Fund’ for some of these dastardly acts. But, let’s not confuse headline grabbing, abominable behaviour with the vast majority of people in the world of professional selling. The Sales Directors, Business Development Managers, Pre-Sales Consultants, Sales Managers who get up every day to do the right thing by their clients and their company. This is my 20th year of consulting, speaking, coaching and training thousands of people around winning business. In addition, working live advising on hundreds of multi-million dollar pitches across all industries, gives me unique insights into the mindsets and behaviours of professional sales people. 1. I can count on one hand (with three missing fingers) how many companies were willing to blatantly lie or do something unethical in order to win. 2. Professional sales people think about improving their client’s world every day, knowing that it will mostly likely be reciprocated. 3. The vast majority of companies spend inordinate amounts of time and money proving to themselves that their products and solutions work before recommending them. 5. The level of skill and acumen in creating value for clients has risen exponentially in the past decade. The shonky, Glengarry Glen Ross, Slick Willie sales person is gone or going. We hear about the remaining few because it’s good clickbait or fodder for TV shows. Let’s celebrate the professional enterprise sales person because they are the majority – ethical, hardworking, knowledgeable and committed to both their own success and especially, those of their clients. This is not a dystopian world filled with rank opportunists who connive in dark rooms to cheat people. It’s a world replete with successful outcomes because, yes, someone sold them something pretty bloody good. Bullying is not restricted to the shenanigans in Canberra and Dummy Spits are not confined to the tennis court. Yelling abuse at account managers who are unable to break the laws of physics to fast track an order. Threatening to ‘never, ever buying from you again’ if you don’t give them what they want – yesterday. Let’s be clear. If you have genuinely made a mistake or demonstrably failed to deliver a well-documented promise, then you’d best get the coffee out to stay back till 2am to fix it. It is perfectly acceptable to ‘take one for the team’ but with the emphasis on One. It is also reasonable to help a client out, especially when it’s unforeseen or when it will be genuinely appreciated. But there is no reason for you, your colleagues or your manager to be subjected to the toys being violently and unprofessionally thrown out of the cot. It’s a racket that should be broken. Appeasement wasn’t a great strategy in 1938 and it’s not an appropriate response in 2018. Does your leadership say ‘Just give them what they want’ regardless of the circumstances or how unprofessionally you’ve been treated? 1. Bob, we really value our relationship but our account management team don’t deserve to be yelled at regarding a standard delivery issue. 2. Bob, we negotiated the price based fairly on the volume you’re purchasing. Why are you giving our Account Director such a hard time? 3. Bob, our engineers were up till midnight configuring your system. I don’t appreciate threats to cancel the contract, simply because there’s pressure to upgrade the system. We both know we’ll meet the deadline. 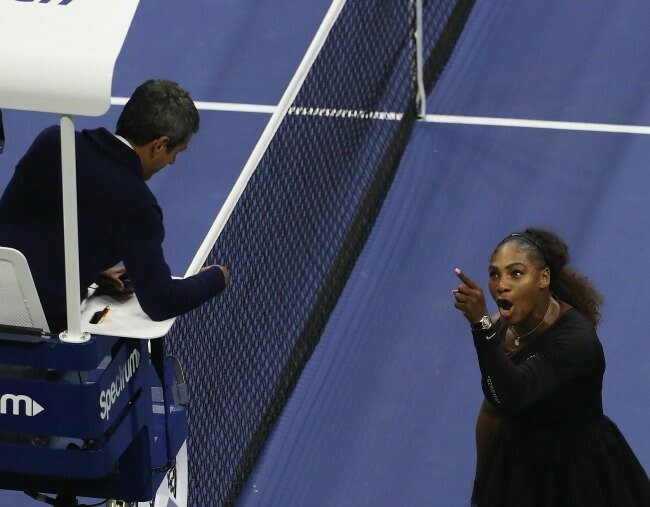 The client persona is often depicted as a serene benefactor bestowing their gifts, but we shouldn’t be afraid to call out behaviours that are demonstrably unprofessional. Leaders, you are elevated in the chair overseeing the court of account management. There’s only one reason why client code violations need to be called out. Your people are worth it. After three months of meetings, site visits, proposals, pricing schedules and technical solution verifications, John from BigTech and later, Jane from LargeTech were delivering their final presentations to the client. Unfortunately, due to a technical hitch, we only captured the audio of the client speaking in John’s presentation. ‘Yes, it is a bit hard to read but that’s fine, we read the response in the tender, so that complies’. Unfortunately, due to a technical hitch, we only captured the audio of Jane speaking. Elliot Epstein is a leading Pitch Consultant, Keynote Speaker, Corporate Sales, Negotiation and Presentation trainer who gets sales results rapidly. He has coached and trained high profile corporates globally in presenting, selling, negotiating and pitching. He has spoken at over 1500 conferences and workshops for leading companies such as HP, SEEK, Avaya, Hitachi , Asciano, Samsung and Lend Lease. 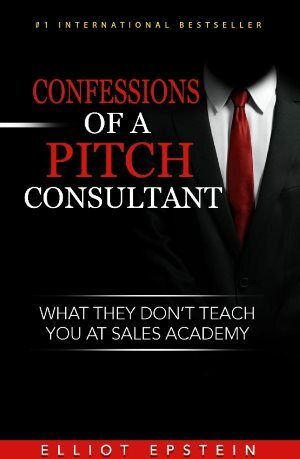 Elliot’s #1 International Best Seller ‘ Confessions of a Pitch Consultant’ available on Amazon here. Elliot is based in Melbourne where he lives with his wife and two hangers-on. 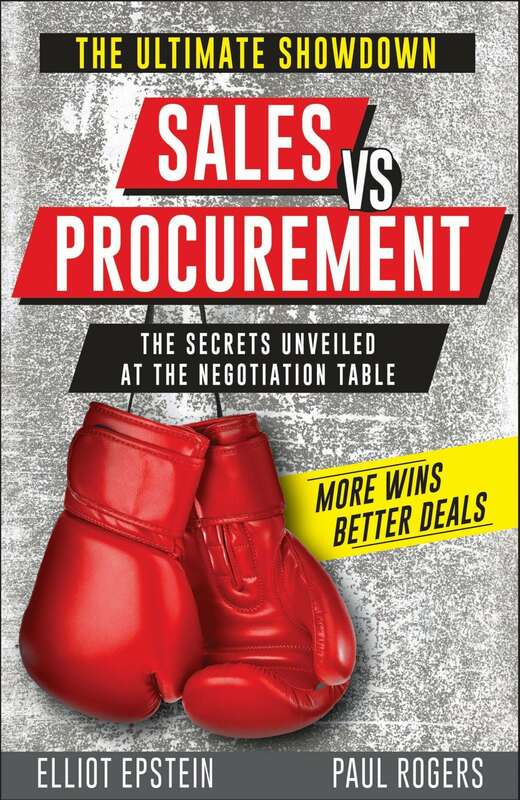 For more information on negotiating go to www.salesversusprocurement.com . In the year 1980 B.N (Before Netflix), one of television’s most watched cliffhangers aired leaving viewers breathless wondering ‘Who Shot JR’ in Dallas. People actually had to wait months to find out the answers and now, even with binge watching and spoiler alerts, the intrigue of the cliffhanger has not lost its power to captivate people. It’s no surprise that these shows are highly successful and the magic of the cliffhanger still keeps audiences salivating for more. When you’re invested it’s that state of not knowing that drives you mad, desperate to see more. Cue the sound of millions of dollars going Ker-ching as the next series is produced. In many credentials sales presentations, there isn’t enough intrigue created and too much is revealed, leaving the client the sense that you have a lot of good stuff, but then again, so does everyone else. Imagine you have 30 minutes to establish why you are differentiated, why your company would be exciting to work with and why it helps the client succeed. At this point many presenters will whip out the chart/spreadsheet/software/model and try to justify the genuine outcome that other clients have achieved. As soon as the client doesn’t like or agree with any element of that approach, you’re in a world of pain and in retrieval mode more than my Groodle. Now, let’s insert the cliffhanger. Sales Star: ‘Well, whilst we’ve seen this result for over 3 years across 25 clients and done some preliminary research on your business, we actually don’t know for sure. Would you like to find out? If they care enough about your solutions, and your bold outcomes and your client logos are strong enough, would they really not want to find out? Oh, and it is a total myth that you can’t charge for proofs of concept or reviews. Do you want to know the percentage increase in sales moving clients faster to the next stage using the cliffhanger? I’ll tell you… in my next article. LAST PLACE AVAILABLE IN THE SALIENT EXECUTIVE LEVEL SELLING PROGRAM IN AUGUST. He is internationally renowned for ensuring sessions are engaging, interactive and relevant to winning business in competitive markets. We’re scared and it’s scaring me. Many politicians are scared to stand for what they think is right for fear of being kicked out when ironically, they’ll be kicked out for not standing for something. Whoever advised UK PM, Theresa May not to front up to a debate and talk in stultifying, numbing slogans for a whole campaign should be forced to reconsider their level of expertise in 2017. It’s not even worth remembering the Federal Government’s joyously ‘safe’ Jobs and Growth campaign. Equally, in so many business pitches, there are a lot of people selling on eggshells. ‘Do you think our tagline should be ‘Innovation and Curiosity’ or ‘Curiosity and Innovation’? We’re scared of what? – of losing face, losing our job, losing friends at work, but apparently not so scared of losing the deal. The client, just like the electorate, doesn’t care. Clients don’t care about your internal politics or who likes who and they certainly don’t take into consideration that you allowed an enormous idiot to pitch to them. In markets, where commoditisation is increasing and demonstrable differentiation is the key, why would we allow our least best selves to drive the pitch? Everyone is going to get overruled at some point by a decision maker who makes a call. But if you are continually overruled on the best ways of winning new pitches, why do you want to keep working there? There are some great sales leaders out there that will dare to win, not be frightened to lose. Trust me, I’ve coached them and they’re wonderful. Selling on eggshells makes your walk through your professional life a very tentative and fearful affair…and eventually, one day, it cracks anyway. Elliot is based in Melbourne where he lives with his wife and two kids who are not scared to lose.